A Supporter of the Hawthorn Hawks AFL Team & the Sydney Roosters NRL Team, In summer Cricket & Basketball (Perth Wildcats).Internationally, Los Angeles Lakers American Basketball Team. With the 2018 trade period completed and the 2019 fixtures released, the drafts and delisted free agency periods are still to take place. With the trade period done and next season’s AFL fixture released, the road to 2018 has begun. With the Richmond Tigers’ premiership win closing season 2017 on Saturday and the Trade Period starting just days away as well as the Draft to come, the dust is yet to settle on 2017. With the AFL fixture having been released, our attention moves towards next season. 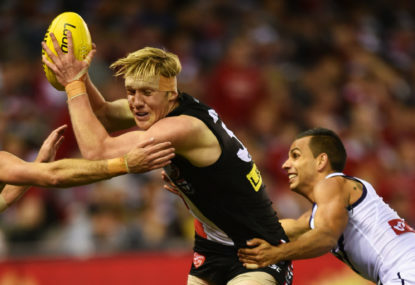 With the year changing from 2015 to 2016, attention moves towards the next AFL season. So here is a fresh ladder, finals and awards forecast for you. With the AFL’s fixtures having been released for 2016, attention moves towards the next season. Having seen each team’s draw, here are the best forecasts for next year. With the 2015 AFL season starting in just under two months’ time, let’s have a look at some of the best predictions for the year. Channel Ten has announced that it has won the exclusive television rights to the Karbonn Smart Champions League Twenty20 cricket tournament 2013 in Australia. Channel Ten are bidding aggressively for all the international cricket TV rights from Channel Nine after missing out on the AFL, NRL, horse racing, A-League and V8 Supercars TV rights. Channel Ten has been awarded by the IOC the 2014 Winter Olympic Games in Sochi, Russia, acquiring broadcast rights across all media platforms in Australia. They will finish at least 3rd and will create an all-NSW GF also Adelaide will just make it to the 8. Freo won’t be 15th, they will be the very at least 7th also Swans will finish Top 2 along with Hawks and North will finish just outside the 8 and Melbourne won’t make the 8. Derby Grand Final Predicted here with West Coast destroying Freo 133-59. They defiantly won’t be exposed in Finals, they will very at least be Runner-Ups. I would have Dogs 7th and Freo 3rd. 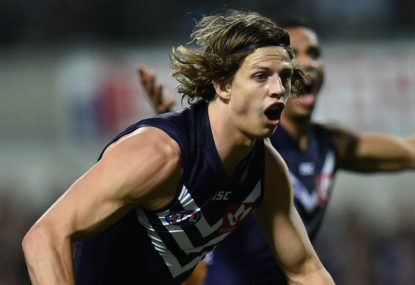 Would love to see Melbourne in the 8 for 2016 after where they finished in 2015 but Sydney and Fremantle will both be unstoppable in 2016 and will make it to the Grand Final. Hawthorn will finish 3rd based purely on Jarryd Roughead’s Injury and timeline of Injury and West Coast 4th. Sydney won’t finish that low so have them in 4th and have North Melbourne 8th. Channel Ten’s Melbourne Cup and A League dreams are ruined. Can I assume that Freo will be the next team you will analyse. Freo will be in GF in 2016. I am not joking! Provided that Seven’s TV Rights for Melbourne Cup Carnival or Australian Open Tennis tournament turn sour. When you Forecast Fremantle and Hawthorn’s Season could you please put Fremantle 3rd and Hawthorn 2nd? 1. West Coast – Great Team with a great list (Including Natanui, Priddis and Kennedy) and is currently the most defensive side in the Comp. 2. 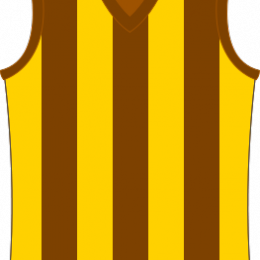 Hawthorn – Currently the Premier Side in the Competition and will be aiming for 5th Straight GF and possibly 4 Straight Flags. 4. Sydney – Great Side and will have a similar year to 2013 though without Goodes and Jetta. 5. Port Adelaide – Plenty of Class though being without Ryder and Monfries and also produced a late Season Surge. 6. Western Bulldogs – I think they will produce a follow-up season to 2015. 7. North Melbourne – Has a lot of players that have tasted September success such as Harvey, Petrie, Dal Santo and Waite and has made Preliminary Final 3 Times (In 1997, 2014 and 2015) from Bottom Half of 8. 8. Collingwood – Will not want to miss the Finals 3 Years in a Row after being Finals Bound Mid Season. 9. 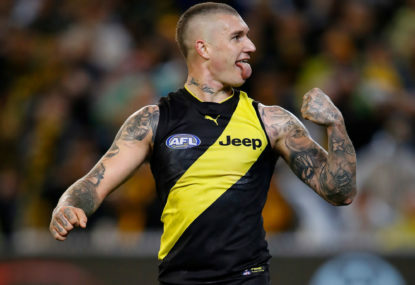 Richmond – Can’t see them in Top 8 reflecting on their last Three Finals Campaigns and also have not finished in that position on the Ladder for nearly a Decade. 10. Geelong – May have gained Dangerfield but I still can’t see them in Top 8. 11. Greater Western Sydney – Were finals bound mid season but suffered injury crisis and still not ready for September action. 12. 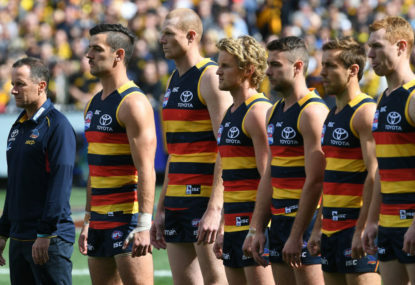 Adelaide – Has a harder Draw though having a wonderful year following the death of Coach Phil Walsh and will drop off. 14. Gold Coast – Had a poor Season 2015 and will finish lower if Ablett misses out on much of season. 15. Melbourne – Had a average season in 2015 and same thing will occur in Season 2016 though young and upcoming as well. 16. Essendon – Will finish Bottom 3 as 34 Past and Present players have faced Suspension for Season 2016. 17. Carlton – Will soon rebuild under a coach who has a wonderful record. 18. Brisbane – Certainties for Wooden Spoon due to the loss of Aish, Leuenberger and Redden, but will soon climb back up the ladder. Ten will screen SANFL, VFL & WAFL Matches (1x per round) as well as Finals & Grand Finals. The Best thing about the 2017 AFL TV Rights would be Time Slots such as 1x Friday Night, 1x Saturday Afternoon at 1:40pm, 1x Saturday Afternoon at 2:10pm, 1x Saturday Twilight, 2x Saturday Afternoon, 1x Sunday Afternoon at 2:10pm, 1x Saturday Twilight at 3:40pm & Sunday Night at 6:40pm. Any Rounds that has Thursday Night AFL will be at 6:40pm & only have one Saturday Afternoon Game at 2:10pm. I do enjoy the Sunday Night AFL. To me, I would prefer if Fremantle plays Adelaide in Perth & West Coast plays North in Hobart & Sydney plays the usual GWS & Collingwood plays Gold Coast. I would not want to see both the Expansion Teams play in the 1st Round together. If Hawks play Geelong in the First Round, I would like to see the Hawks next five games contain Bulldogs, St Kilda, Brisbane, Adelaide & Carlton. I think this is a very good opportunity for Network Ten to screen the Super Rugby Tournament. Ten already has the Wallabies Rugby Union TV Rights as well as the Big Bash Cricket League & V8 Supercars TV Rights. Ten has lately missed out on the Melbourne Cup Spring Racing Carnival, Australian Open Tennis & Australian Masters Golf TV Rights & more recently The Hopman Cup Tennis, The U.S. Masters & Australian PGA Golf Tournaments & Seven might retain the AFL TV Rights or even Share the AFL TV Rights with Ten & Seven might also retain Wimbledon Tennis TV Rights. Now Ten must look to the TV Rights to the Sydney to Hobart Yacht Race , the Australian Masters Golf & the 2016 Rio Olympics TV Rights which are all up for Grabs in 2015. Will the Perth 400, Auckland 500, Ipswich 400 & Tasmainia 400 races be Broadcasted on Free To Air in Full? This TV Rights will see Ten become the Place for all the Motorsport Action with Formula 1, Moto GP, V8 Supercars & the Rally Championships. Great News! Ten is definitely the home of Motorsports & now after taking the Twenty 20 Big Bash Cricket Tournament TV Rights, they must now look to the TV Rights for the Sydney to Hobart Yacht Race, Wimbledon Tennis, 2016 Rio Olympics & Australian Masters Golf which all comes up after 2015. Shame that Ten missed out on the Melbourne Cup Spring Racing Carnival & the Australian Open & Hopman Cup Tennis TV Rights. This is a great move for Ten taking out the V8s Supercars TV Rights after Winning the Twenty 20 Big Bash Cricket TV Rights. It was a shame that Ten missed out on the Melbourne Cup Spring Racing Carnival, Australian Masters Golf & Australian Open Tennis TV Rights. It was also a Shame that Ten dropped the Hopman Cup Tennis TV Rights. Ten is definitely the new home of Motorsports! The Sydney to Hobart Race, Wimbledon & Australian Masters Golf TV RIghts come up after 2015. So, which of these events interests Ten? Paul Roos will be a great first choice for Melbourne if not, either Rodney Eade or John Worsfold or Even Gary Ayres. Mark Thompson will be a great first choice for West Coast.